This post is sponsored by Disney Press. All opinions are my own. I love that my kids love reading so much. There is something amazing about being able to sit and read a book while using your imagination to become part of the story. My 11 year old daughter has loved the Star Darlings series and I love that she is learning so many great lessons while reading the series. 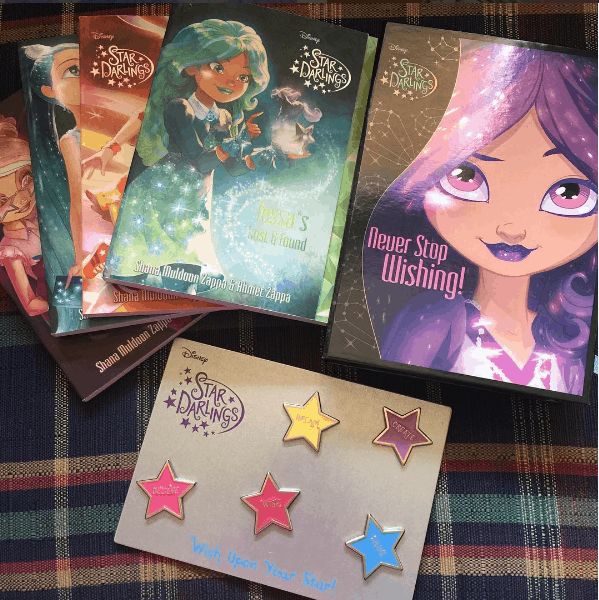 Earlier this year, by daughter received the Star Darlings books 1-5 and she immediately started to read them. She was bummed when she finished book five because she was eager to keep reading the series. She was so excited to finally receive books 6-9 in the mail so she could continue the series. “Just like real girls, each Star Darling has her own wish that she pursues with full force and determination—and the help of her friends. These shared journeys and experiences provide exceptionally positive examples to inspire tweens to follow their dreams.” I love this so much about the series. It is so important to me that my daughter recognizes that she can follow her dream. 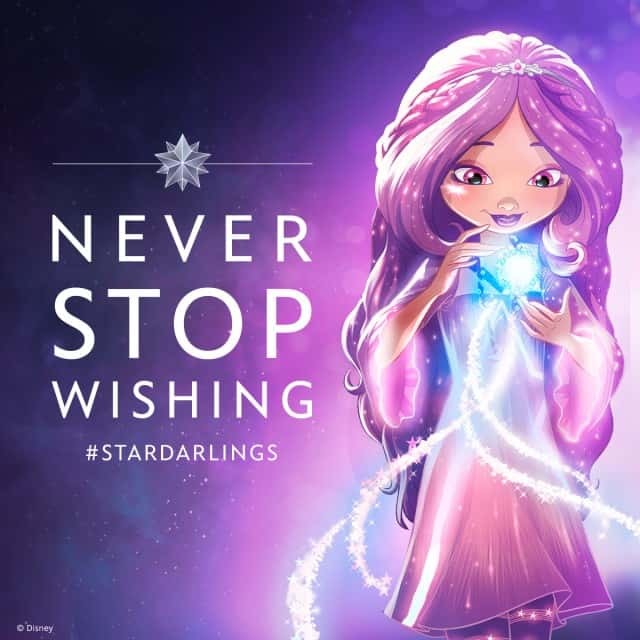 I love that Star Darlings encourages this while giving them examples and experiences that teach her how to dream. “Starf! The day Cassie has been dreading since she first arrived at Starling Academy is here. She has been chosen to make the journey to Wishworld for the next Wish Mission. Lady Stella, the headmistress, assures her she’s going to do a starmendous job. Ever since my daughter was little she would wish on a star. It was always so cute to me because she would make everyone stop taking so she could say the poem, “Star Light, star bright, first star I see tonight. I wish I may, I wish I might, have the wish I wish tonight.” She would then close her eyes and make a wish. I never knew what her wishes were, I just knew that she was always happy and content after making a wish. When I think of little girls and wishes and dreams I think of the stars. The stars are glittery and bright and encourage dreaming. Since stars look so sparkly, my daughters and I created a Star Darlings inspired craft that we are excited to share with you. 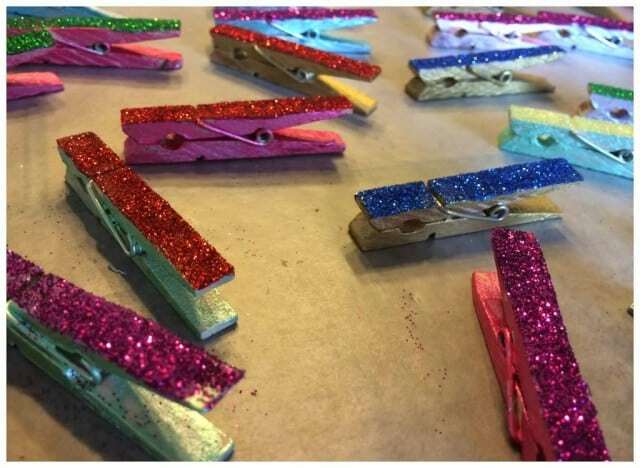 These Wish Upon Your Star Glitter Clothespins are perfect for holding your child’s folded up wishes. 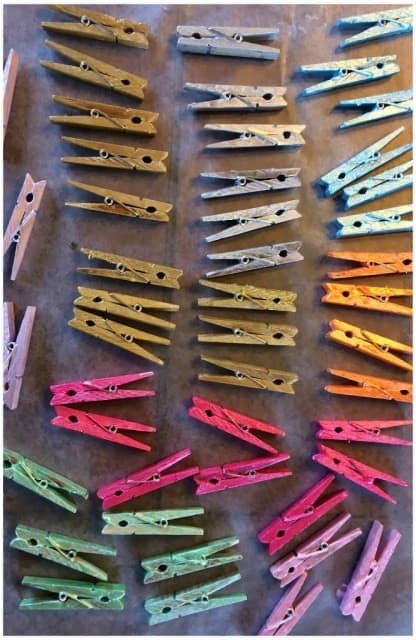 Paint your Clothespins with different bright colors. Each of my girls have their favorite colors so they painted their personal clothespins with their favorite paints. 2. 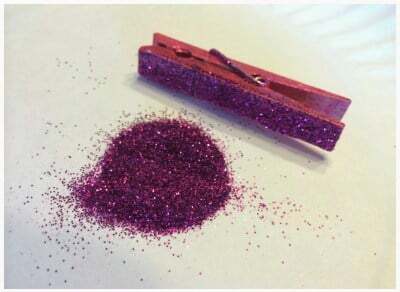 After the paint is dry, add glue on one side of the clothespin and dip in Glitter. You can use the same glitter as your paint or you can mix and match. 3. Let your clothespins dry. Find a private place in your girls room and hang a string so they can hang they secret wishes and artwork on the string using their adorable Wish Upon Your Star Glitter Clothespins. 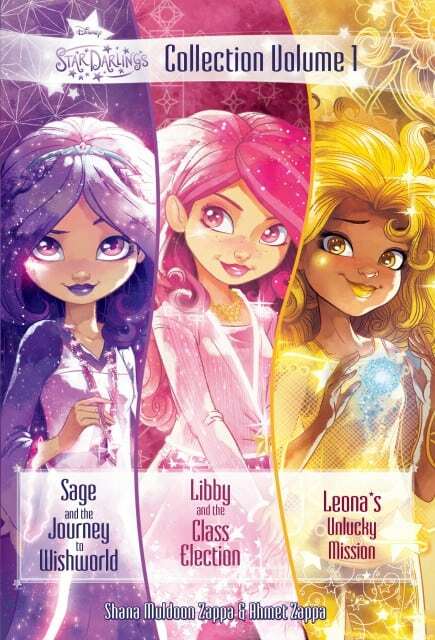 If you are looking for a book series to motivate and inspire your daughters to dream, then this is such a great series. It is fun to read and teaches so many great lessons. You can visit DisneyStarDarlings.com for more info. Follow @DisneyStarDarlings on Instagram and Facebook. 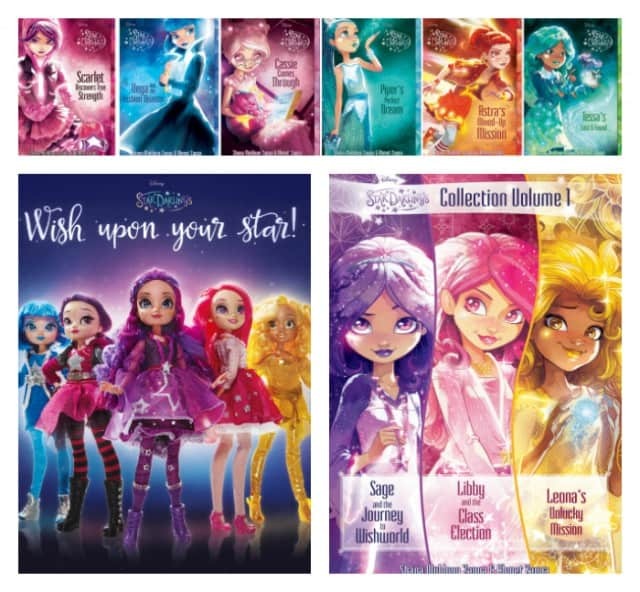 · plus a set of five (5) Star Darlings 10.5” dolls! Giveaway open to US addresses only. Prizing and samples provided by Disney Press. ARV $205.